It’s no secret that I am not a fan of the ‘darker months’. The late autumn, entirety of winter and even early spring are all on my hitlist. Although with my only options being to get on with it or immigrate, I pretty much have to embrace them. The way I have learnt to cope with the impending feeling of doom that comes with the cooler months is to seek out their individual charms. In October you can hear the crunching of leaves during your early morning walk. Watch the squirrels hunting for supplies to carry them through the challenging times ahead and even carve a pumpkin if you fancy. In November you are shaken alive by the roar from the fireworks, forcing even the biggest of pessimists to look into the sky in awe of the fire glitter. Then there’s December. What a beauty of a month. Almost everybody is riddled with festive cheer. The days are short (the shortest in fact), nights are long and filled with festive tunes. Holiday mode is in full swing and you can’t do anything without being reminded of the jubilant day. Seriously, even turning on the telly will result in the great man in red invading your home and spreading the love. Without a doubt, the best part of December is the food. Oh, the abundance, the acceptance of over indulging. The fact that every friend/relative you visit has copious amounts of chocolate. It’s just marvellous. Coupled with two bank holidays, December really helps dull the wintry pain. My birthday is in January and usually by this time I have found the cold, miserable winter far too much and we jet off somewhere to numb the pain. The air is cool and crisp. Your commute is that bit longer with precious minutes in the warmth of your bed snatched away by icy footpaths and car windscreens. The fashion is great though, you can pile on the layers without anyone noticing the few pounds you have put on through festive indulgence. February is the month of love and also feels as though you are coming to the end of winter pain. Spring is within arms reach with longer days and warmer temperatures, providing a wealth of optimism. 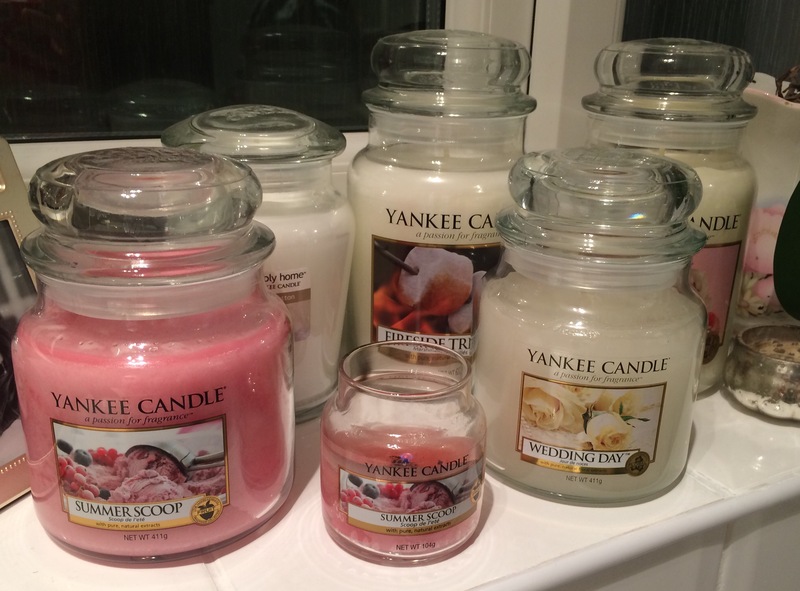 As soon as the cooler evenings sweep in, I am whipping out my favourite scented candles. I love having candles dotted around our home for many reasons. Firstly it makes me feel all warm inside. It may sound a bit nuts, but psychologically I find watching the tiny flame lower itself further down the wick and surrounding itself in scented gooey-ness makes me instantly feel warmer after coming in from the cool evenings. We are lucky to have a real fireplace and this obviously has the same effect only on a much larger scale as the heat emitted is actually beneficial as opposed to relatively artificial. I love snuggling on the couch in candlelight. It just feels right. The other thing that I adore is of course the delicious aroma that fills the room from a beautiful scented candle. I hate to be a snob, but I really do feel like you get what you pay for when it comes to candles. There are so many on the market, all different shapes, scents and sizes. For me, the shape or size doesn’t bother me in the slightest. I’m all about the smell. I like the air to become completely smothered in the wonderful perfume scent that comes from a good candle. I feel it completes our home and makes being at home just feel extra nice. There’s nothing more relaxing than being all snuggled in a dressing gown watching telly by candlelight. It’s my favourite thing about the cooler months. Jo Malone create the most beautiful scented candles. They ooze luxury and sophistication. Being in the presence of a Jo Malone candle is how I imagine heaven would smell. The quality is divine and there is such an extensive variety of scents to choose from that even the most fussy can find a happy medium. The candles are always perfectly presented and are simply classic, designed to fit in with even the sharpest of interior design. The only downside is the price. This paradigm of a luxury candle certainly comes with a price tag that doesn’t fit with everybody’s budget, with prices for a luxury candle coming in at two hundred and eighty pounds. Never fear, you can get your hands on a home candle for a mere forty two pounds. They do last well and the amazing scents that Jo Malone are reknowned for completely fill any space that they are placed in to, not to mention how gorgeous they look generally, so it’s up to you if you have the cash to invest. Relatively new to the market, Heir and Grace certainly provide competition for the luxury candle makers. With their classic design and sumptuous scents, they really are the Kate Middleton of the candle world. Hand made and poured in Windsor, they always arrive beautifully packaged with a palatial charm. 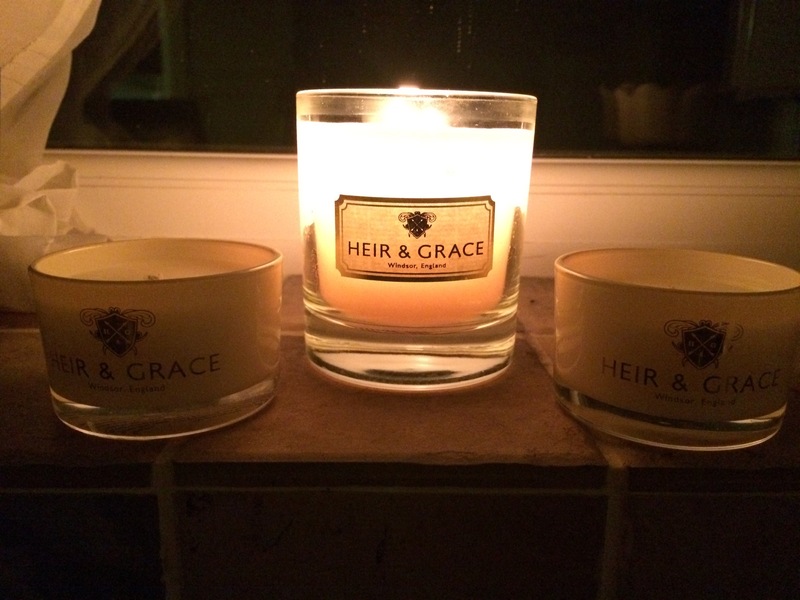 What I adore the most about Heir and Grace candles is that they feel so organic. You can instantly tell that they haven’t been mass manufactured using ghastly chemicals. They have been crafted with love and passion. They have grown their collection of scents and whichever scent you choose will certainly fill your home with air that isn’t remotely artificial. It’s pure, elegant. Perfect for cosy nights in or even dinner parties. How much would such an opulent candle set you back? Well, a home candle costs thirty six pounds. Whilst there are a lot of other, less expensive brands on the market, Heir and Grace candles come with a story. 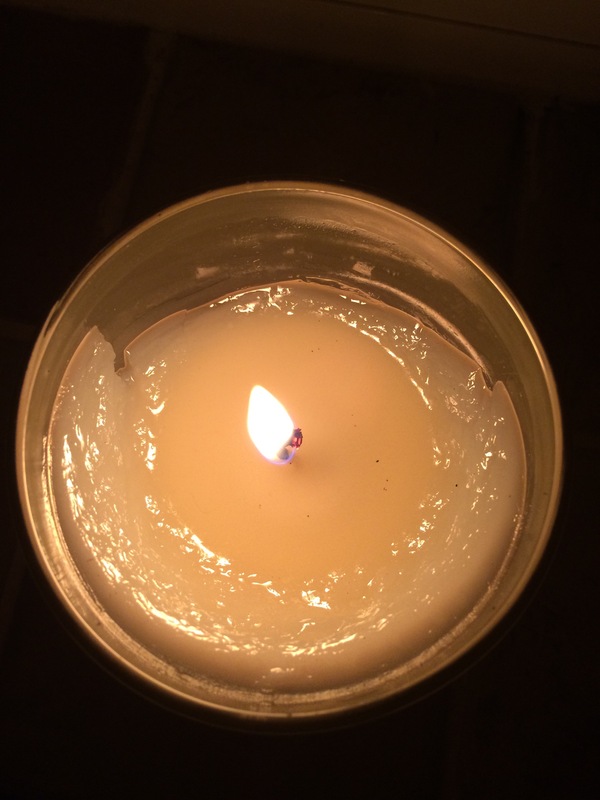 You aren’t simply paying for a little scented flame in your home. You are paying for a loving creation with a rich, well thought out scent. 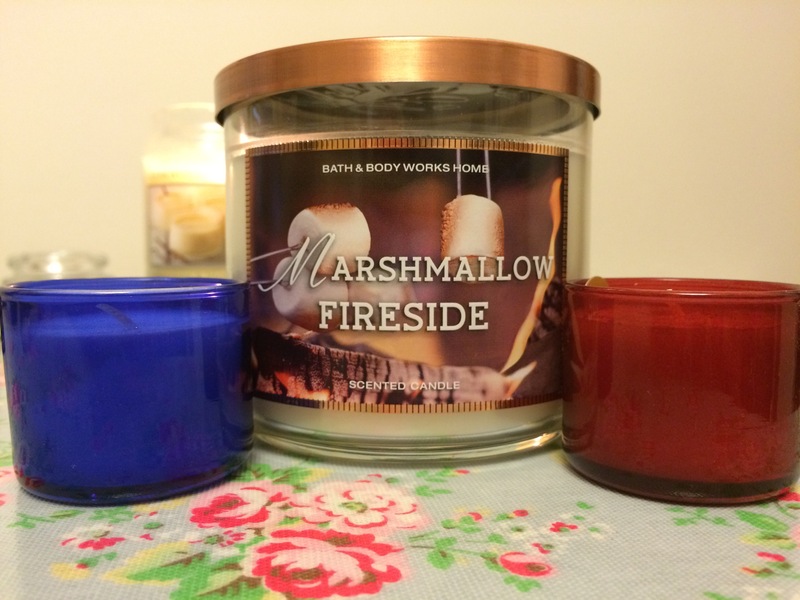 I first laid eyes on a Bath and Bodyworks candle whilst shopping in New York. They are an American brand that I am desperate to move to the United Kingdom. Even if they only open one shop that happens to be eight hours away from home, I’ll be happy to travel. I just adore their products so much. They stock the most unique scents from candles to hand sanitizers and are wonderful. Unfortunately, they don’t ship to the UK, so getting your hands on one of their delightful candles can prove quite tricky. They stock a variety of sizes, from mini travel candles that are a few dollars, right up to my favourite three wick candles, which come in at twenty two dollars. They offer excellent value for money and the three wick candles last for quite a while. Whilst their design isn’t as classic as the luxury candles, they are still lovely and aren’t unsightly if left out. Their scents are far more fun than any other company I am aware of and you can certainly find a candle for everyone from Gran to your best friend. Plus, if you find a scent you love, you can indulge in bath products to car air fresheners. Ah, Yankee Candle. Where do I start? They have become so iconic over the last few years and have really made an impact this side of the pond. The design of their jars is often mimicked, although the product usually in these imitations pales in comparison to Yankee. With an extensive selection of scents to choose from, as well as many other products such as wax melts and tea lights, they really appeal to the mass market. Yankee are really great at embracing the holidays. There is pretty much a scent for every occasion. We were even given a ‘wedding day’ jar as a gift on our wedding day. That’s the other thing about Yankee, they make wonderful gifts. They aren’t too cheap and they aren’t too expensive like their luxury competitors. They do a lovely job of filling the home with a nice scent. They aren’t as classically designed as the far pricier luxury brands, and come in a vast array of colours, some of which aren’t to everybody’s interior taste. Coming in at a couple of pounds for a small candle up to twenty two pounds for a large jar, they are great value. If the jars aren’t up to your taste, they also make pillar candles and have some other, classic designs. So that’s how I intend to spend the cool evenings, snuggled up and surrounded by my favourite scents. Who needs to leave the house anyway? !